Joyce, beloved wife of David Stone passed peacefully on Monday, March 4, 2019. She is also survived by her son Raymond Tereposky of Castlegar, BC, grandchildren Kelly (Jack) and Cheryl (Bret), and Chris (Maureen); great-grandson Zak, great-daughters Phoenix and Lexis; and nieces Jean Hendy (daughter Karen) in England, Dale (Ken) and Diane (Norm). A Memorial Service will be held on Saturday, May 4, 2019 at 1:00 pm at Springfield Funeral Home, 2020 Springfield Road, Kelowna. 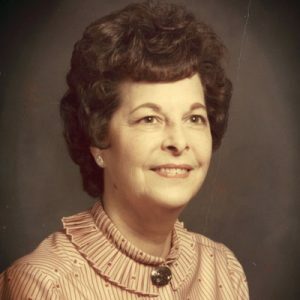 The service for STONE, Joyce is scheduled for Saturday, May 4, 2019 at 1:00 pm. Below you will find the map for the service location and the contact information should you have any questions. We have been next door neighbours with Joyce and Dave since 1997. Over the years we have had get togethers with so much laughter, stories and good times. Joyce was the most kindest,loving,thoughtful friend, and brought so much light into our life. It is with great sadness that she has passed on, and truly will be missed, and will make heaven a brighter place as she did in our lives. Dave,,please know that we are here for you in such a difficult time, and will be there if you need anything, day or night. It is with sadness that we learned of Joyce’s passing. Our heartfelt condolences go out to you David as we share your sorrow at this time.